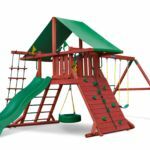 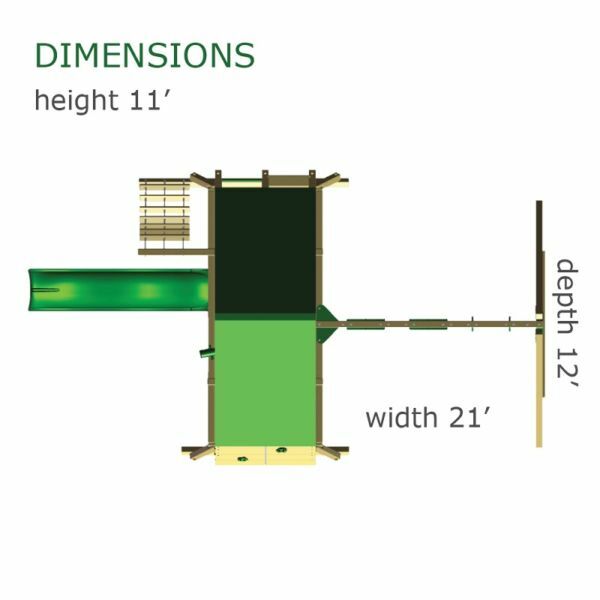 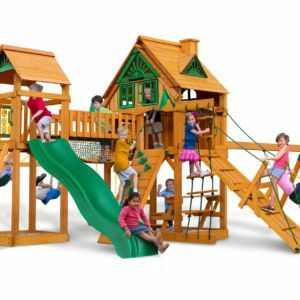 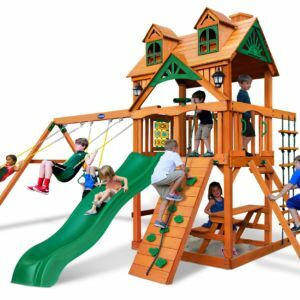 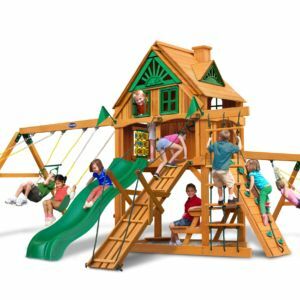 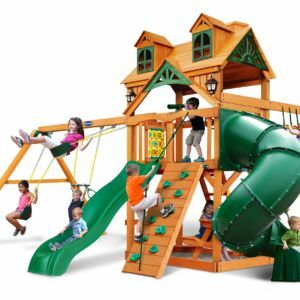 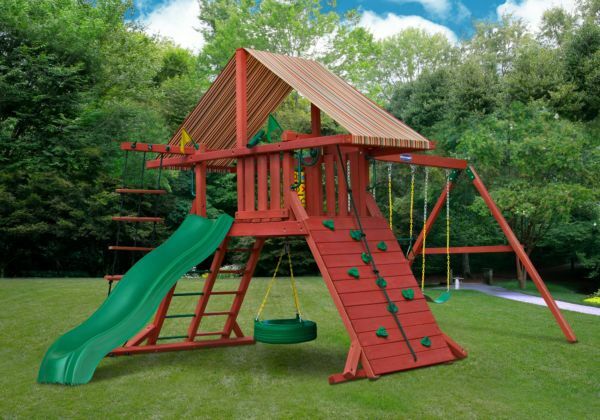 Categories: Regal Series, Swing Sets. 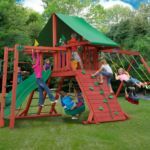 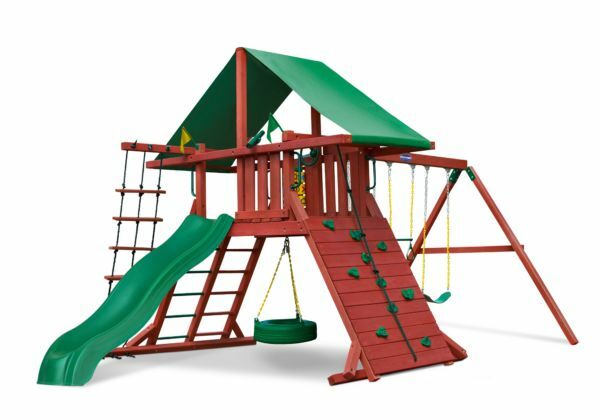 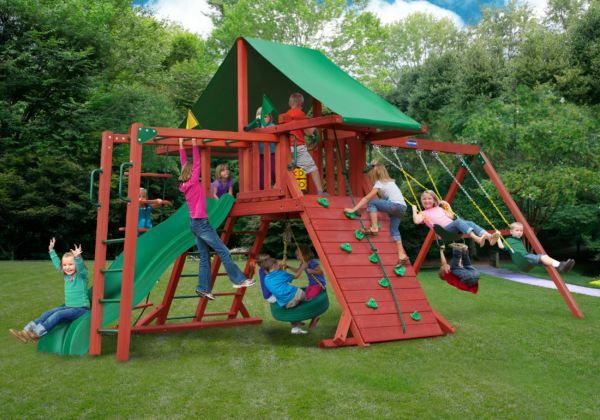 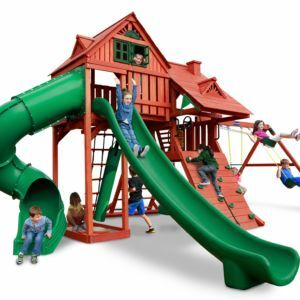 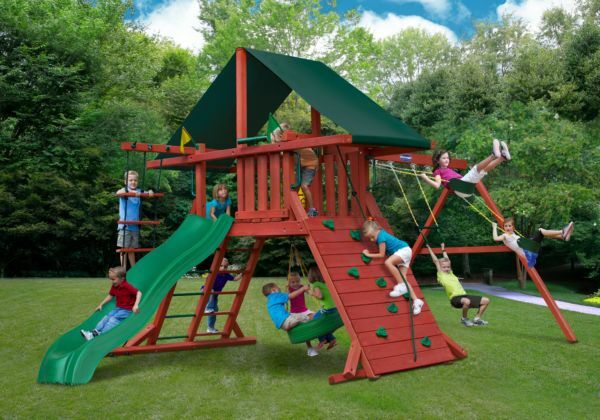 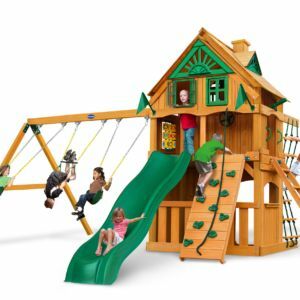 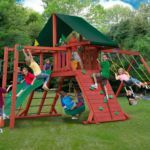 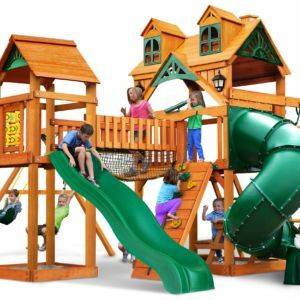 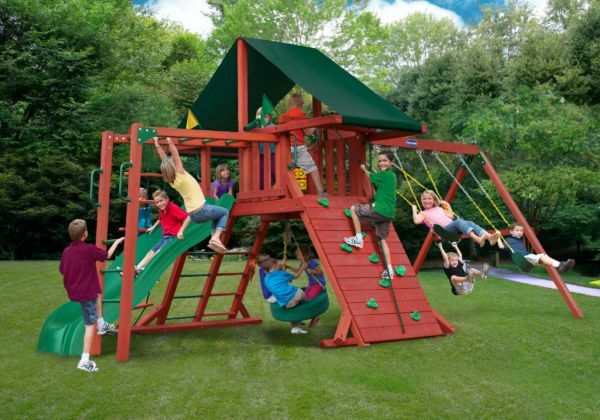 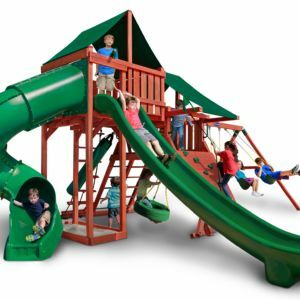 Rustle up good times with the Russet Ridge in your backyard! 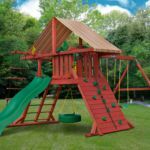 This swing set was designed to keep kids busy with monkey bars, rock wall and a rope ladder, all while building strength and coordination. 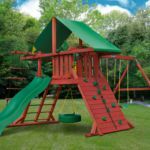 Select from our classic vinyl canopy or our authentic Sunbrella® canopy.